Definition: World changers follow Jesus into renewing all things. They are compelled by God’s love, empowered by the Spirit and transformed by his grace. God’s role - God so loved the world that he has set in motion his redemptive work through the sending of his Son, who, through his life, death, resurrection, and the outpouring of his Spirit has inaugurated the renewal of all things. Our part - As disciples of Jesus, constantly being renewed by the Father’s love and transformed through the renewing of our minds, we humbly offer ourselves as living sacrifices and accept our commission as ambassadors of reconciliation for God to make his appeal to the world through us. In Community - We belong to the larger body of Christ as well as to specific missional communities on campus. We recognize our limited and individualistic worldview and seek to learn from people of different perspectives and voices in God’s diverse community. Change/Impact - As world changers, the change we seek is salvation for the lost, healing for the broken, restoration for the oppressed, shalom for all, renewal of systems, and care for creation (in flourishing and promotion of beauty). 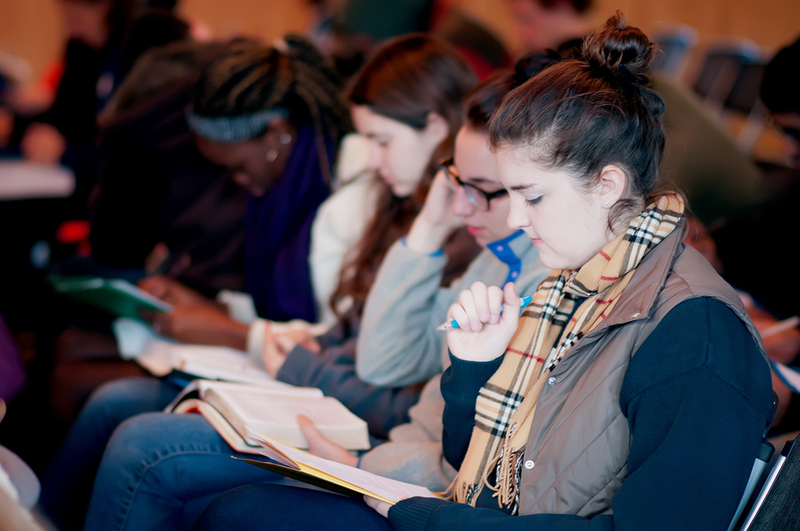 In the World - Beginning with the campus context and continuing beyond it, students and faculty participate with God as he renews the campus and, through the campus, brings change to the world’s people, systems, cultures, and environment.